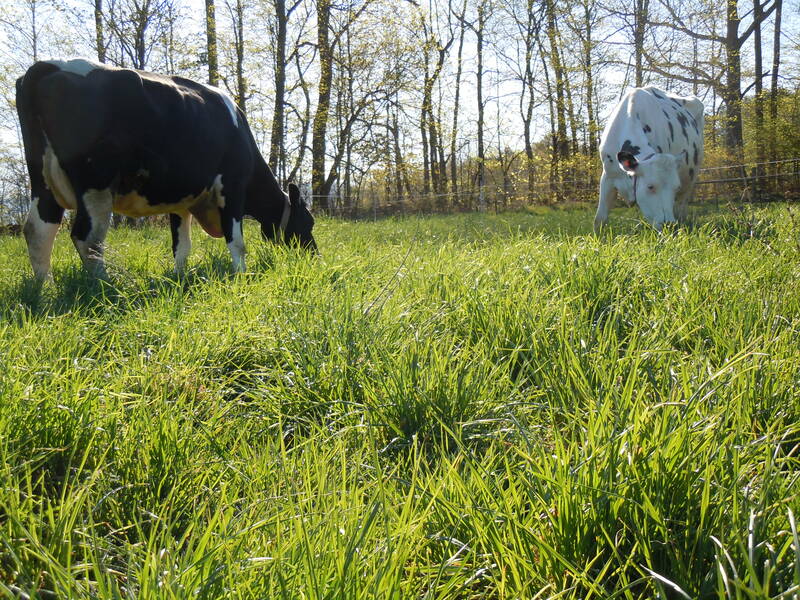 Well-managed pasture can be high quality forage, when the stand is dense, at least 6-8 inches tall, and a mix of grasses, legumes, and herbs. To maintain a pasture-based dairy ration, dry matter intake from pasture must remain high. When this intake is limited, milk production decreases. 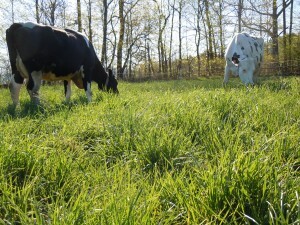 So what influences how much pasture forage an animal will consume? For starters, a high plant density in the pasture leads to higher intake because the animals don’t have to spend time walking around and nibbling for forage. Instead, they can stand in one spot, taking several bites from a diversity of plants before moving on. 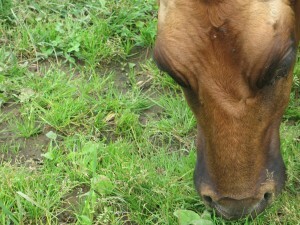 With each bite, the cow will be grabbing large mouthfuls of pasture plants. This equates to more rapid rumen fill. Why is this important? There is a limit to how much time a cow will spend grazing each day. Cows also need time for rest and rumination. The less energy a cow has to expend finding food, the better. If she can only take so many bites per day, then those bites need to be as full as possible. Ideally, ruminants will be provided with an abundant, nutrient-dense ‘salad’ each time they go out to graze. Would you like to get from A to B to maximize your pasture potential? With funding from NRCS, resources are available NOW for grazing system planning. 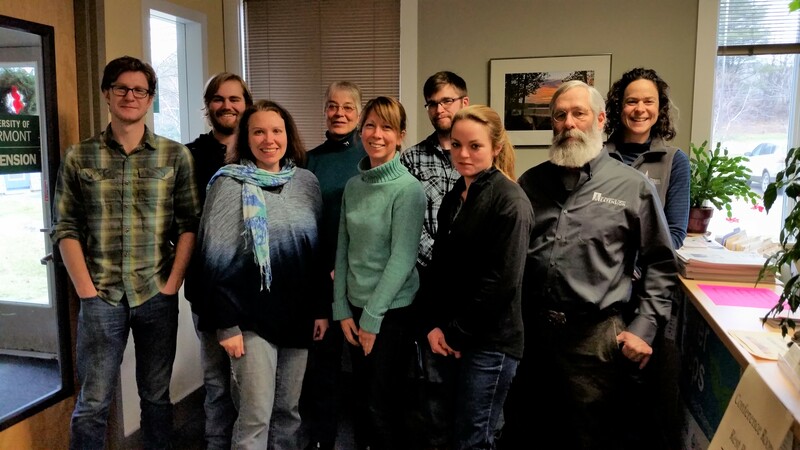 If you would like assistance developing a grazing management plan, contact Cheryl Cesario at 388-4969 x 346.